The reverse swedish Adam Cup method. Gravel and RWD instead of Tarmac and FWD. What should I say? I´m really really happy! Today I can tell you, that I have the possibility, to drive the Volvo Original Cup. In Sweden!!! This week, we got a phonecall from a Swedish friend. He really found someone, who is providing me a car. Some of you may think, what is so special about that. It´s quite simple to explain. There aren´t any Volvo Original Cars to rent. It´s like a Familyhobby in Sweden. Many Swedes have a Car, and prepare it theirself for the Events. So there is no one who is renting These cars „officially“. That we got a Car without buying it, we can call a small sensation. 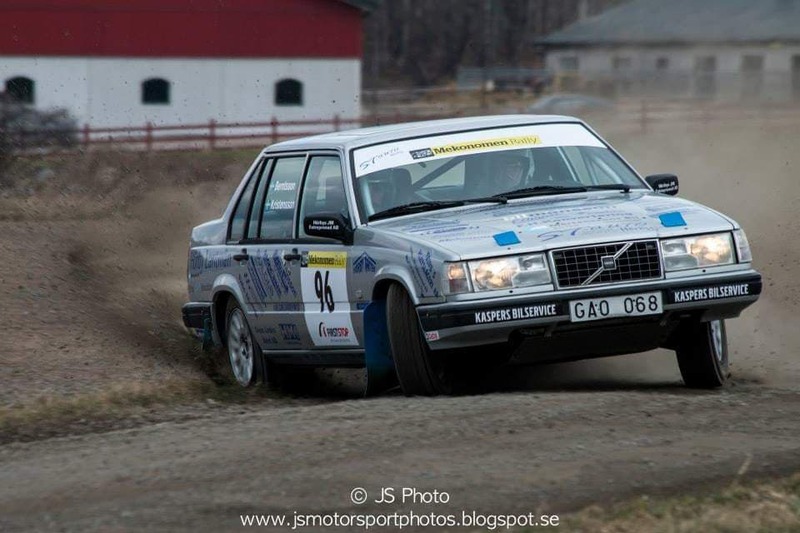 Our idea of learning to drive on gravel was nice to hear for the swedish Guys. They are looking Forward to the adventure with me/us. That´s something I should tell here, they said to me. In my german post I explain the details about driving in sweden under the Age of 18. I´m not sure if it is necessary to explain it here for my swedish friends 🙂 We hope that we can do some tests in Spring, to get some Feeling for the car and of course to get to now the Team. I´m realy looking Forward. When all calender are open, we´re looking for the most interesting Rallyes for us. I´m in contact, with a german Volvo Cup Driver to look for a opportunity until summer to drive some km in a Volvo. If there is something new, I´ll write it down here.